Specialist astronaut Evelyn Slater encounters a small, badly damaged, ancient alien artefact on the first ever space-junk elimination mission. Where was it from? Who'd sent it? International governments impose a security clampdown. Evelyn leads a team of hand-picked scientists who make amazing discoveries within the alien device. Secrecy is impossible to maintain. When the news is finally released, she becomes embroiled in international politics, worldwide xenophobic hatred and violence. This is book one of Tony Harmsworth's First Contact series of novels. If you like realistic near-future stories which compel you to imagine yourself as the protagonist, The Visitor is the book for you. 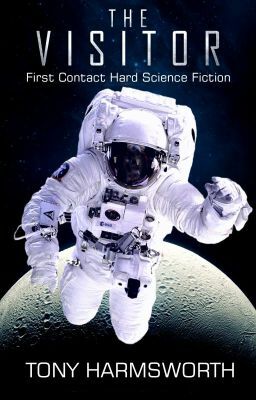 The Visitor - hard science fiction with a wicked twist. Read it today. (C) 2017 Tony Harmsworth - All Rights Reserved. For the avoidance of doubt, anyone using this storyline, characters or copying prose or dialogue without written permission, will be prosecuted under international intellectual property laws. If you wish to write fan fiction based on the characters or invented worlds in my work, please seek written permission.